You can never have too many food and kitchen tips, as far as I’m concerned. 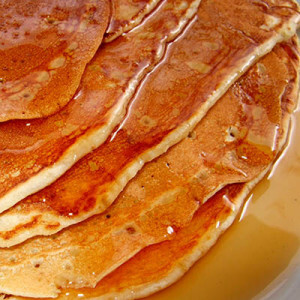 Here are a few favorites: Did you know you can make extra pancakes, freeze them in zippered plastic bags and for a fast breakfast, reheat them in your toaster? That if you put a layer of paper towels in the bottom of your refrigerator vegetable drawer, your veggies will stay fresh longer? That when Spring arrives, to lose a little weight, I eat one meal a day that consists of an organic frozen vegetable heated in the microwave, tossed with fresh lemon juice, a favorite spice or hot sauce and topped with a scattering of toasted pine nuts for crunch. Eat as much of it as you want. Thanks for sharing and believing in taking simple food for weight loss. Eating less can really help.